COPIOUS amounts of food, endless chit-chat and the festive drink or two is the is the perfect combination for a drowsy afternoon. I challenge you to find one person on Christmas Day who doesn't want to leave the table, and retreat to Aunty May's couch and let the post-lunch Turkey- induced coma take over. But as the celebrations wind up and the wrapping paper gets shoved into the wheely bin, the one thing most of us are going to do is hit the road home. If today's statistics are telling us anything, it's that it's right after lunch you're going to feel like a bit of shut-eye behind the wheel. 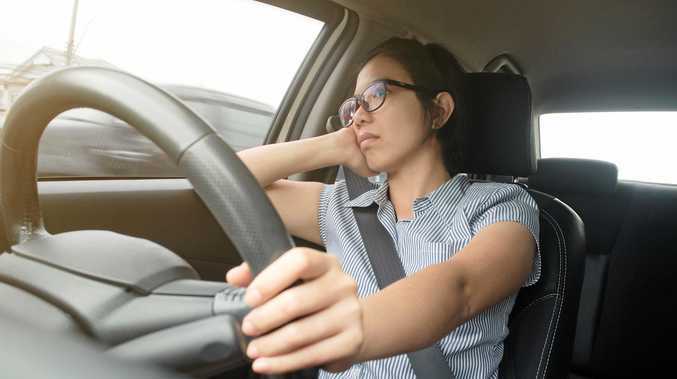 Falling asleep behind the wheel between 4am and 6am (the most common time people are involved in fatigue-related crashes), you can understand. However, it's between 2pm and 4pm that you're just as likely to fall asleep while driving. The message? Check for signs and avoid putting yourself and your family in danger. If you're blinking more than normal, yawning, changing speed without noticing or God forbid, swerving into oncoming lanes, pull over and take a nap. Not coffee, loud music or Red Bull. You need to sleep. It's one thing to put your family in danger, but to swerve onto the other side of the road and take out another car is a horror set to be no one's fault but your own.